Our experience of providing a variety of cleaning services and an ever increasing list of satisfied customers has made One-Off Cleaning the first choice of many people in Millwall, E14. 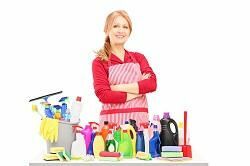 If you have a home or an office in the local area and are looking for professional cleaners then don’t look further as we have the answer to all your cleaning related worries. By hiring us you get the best results and a completely satisfactory experience which makes your house or office neat and tidy. All these perks are offered at affordable rates. So, contact us today on 020 3397 3282 and book our wonderful one-off cleaning service. For the residents of the E14 area, getting their houses cleaned is not at all a worry as we provide the best home cleaning service in this area. Our well trained staff has plenty of experience in providing personalised services to suit various budgets and schedules. Our one-off cleaners will ensure that your floors, walls, cabinets and even kitchen look spotless. We ensure that your home becomes clean and tidy, so that you can live in a pleasant abode. Office cleaning requires special skills as it includes massive piles of waste paper, heavy staining of work areas and other issues. Hence it is mandatory to choose an appropriate team for this task. However, if your office is in the Millwall area, then you have no trouble in clearing your office mess as we are the experts in cleaning business premises. Our one-off cleaning team deals with all kinds of stains, dirt and grime and they will sanitize your workplace perfectly to give your employees a good working environment. Cleaning carpets has always been one of our fortes. We are the most preferred carpet cleaning company in the local area because our procedures are of top quality. Carpets are an integral part of your home or office and hence keeping these clean is a vital task. Based on your necessity, we can provide a carpet cleaning solution for your entire property or a service which deals with a selected part of your carpeting. So, if you are worried about the condition of your carpet, then just call 020 3397 3282 today and get it looking beautiful again. For a spotless carpet, we are the experts to turn to! With the Thames River surrounding it from three sides, Millwall is the perfect place to experience London. This amazing place in the Borough of Tower Hamlets doesn’t have the chaos found in the other bustling central parts of London. The pace of life here is as unique as the area itself. The long shoreline and beautiful churches are worth visiting. At the same time the picturesque streets in Millwall are perfect for a quiet walk. Perhaps the most famous name to be connected with the area, Millwall F.C. hails from this district, as does the Millwall Rugby Club. Our wide array of one-off cleaning services which range from home to office cleaning makes us the most favoured and widely used cleaning team in E14. At One-Off Cleaning, we maintain high quality standards while delivering great results and hence our customers are always satisfied with our service. At the same time, our charges easily fit in your budget and thus getting your home or office cleaned won’t put additional pressure on your wallet. So, call us right now on 020 3397 3282 to get a free estimate or to talk to an expert from our team.